A coaching inn that has delivered hospitality to weary travellers since the 15th century, the Grade II listed White Lodge reopened in 2016 after a huge (and much needed) renovation programme. 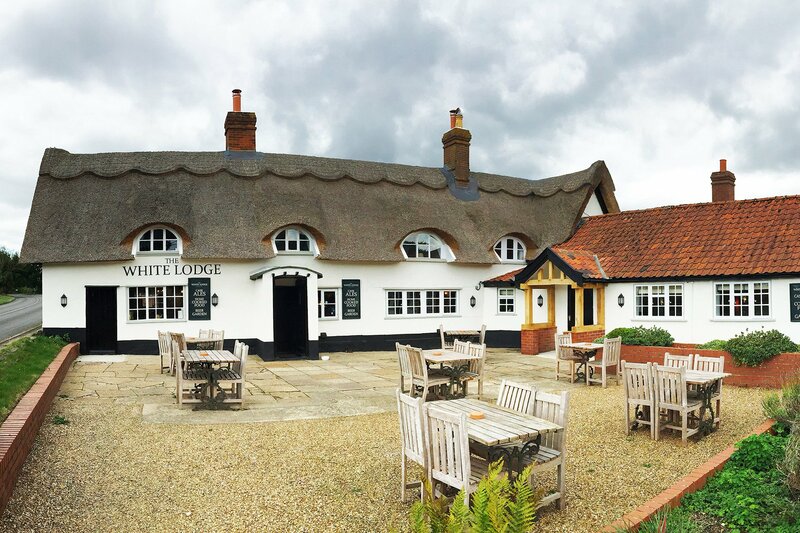 Under dedicated new ownership (the same as The Cellar House in Eaton and The Old Ram at Tivetshall), and with a top-to-bottom refurbishment, The White Lodge is delighted to be able to offer cask ales (6 at any one time – 3 on each bar) and high quality home-cooked food to locals and visitors once again. Children are welcome and we have a Children’s menu. Dogs are welcome in the reception bar, the snug and outside areas. “We had the most incredible Sunday roast with deep fried pigs in blankets to start and sticky toffee pudding for dessert. Absolutely perfect end to a brilliant weekend.